While whirlpool tubs, bubble tubs and soaking tubs have been around for years, bathtubs today have brought even more technology into the bathroom. Relaxation has just taken on a whole new meaning. 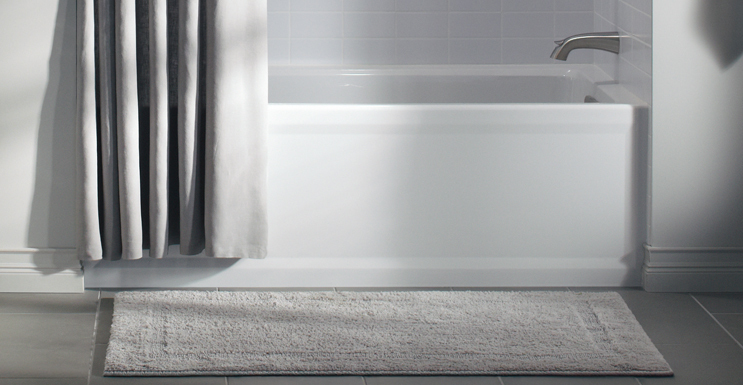 The new VibrAcoustic Hydrotherapy tubs from Kohler combine your favorite music with your bathing experience. Hook up your i-pod, tablet or smartphone to hear your favorite tunes while you relax. But, hearing the music is only one way to use this tub. You can also feel the music as vibrations from the song reverberate through the water from hidden speakers to help you relax. If you don’t want to listen to your own playlist, they have also programmed in several different music mixes designed for relaxation. Cool, huh? 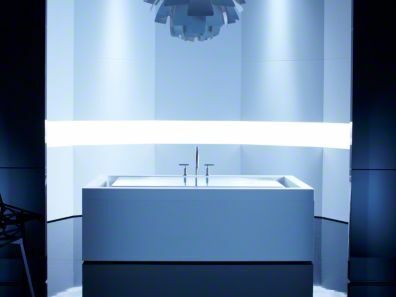 If feeling your music isn’t your thing, check out the Chromatherapy tubs from Kohler. We know that color has a huge impact on our mood and general state-of-mind; this bathtub technology seeks to use that impact to its fullest. Dim the lights and experience the glow of colored lights beneath the surface of the water. Choose your favorite color for a custom experience, or allow the colors to change in sequence. If color and sound are a bit more technology than you need in your bathtub, maybe the Bask heated surface is more your style. These tubs feature heat in their back and neck rests, keeping you warm and toasty while you soak. And, as an added bonus, they are a lot more affordable than the first two options! While showers also have some amazing technology available, bathtubs now offer more options than ever. What do you think? Would you ever install one of these beauties in your home? Can I Use a Chandelier Over My Bathtub?